I recently received a Double Shot 3.0 French Press from Planetary Design. This updated portable French Press uses the same Bru Stop technology that they added to their Tabletop French Press line, which we covered in the article French Press Tabletop Coffee and Tea Maker with Bru Stop Technology Review. For more than a decade, I made French Press coffee about three times a day. It was an earlier time when the filters did a poor job of keeping the coffee grounds separate from the coffee once the brewing period was complete. Because of this, immediately after brewing, I would always transfer all the coffee brewed directly into a mug or some form of thermal container. It was an extra step, but if I didn’t take that step, the coffee that remained in the French Press would continue brewing at a slow rate. The coffee would become over-extracted and undrinkable. With traditional filters, it is easy to over-extract French Press coffee if you leave the coffee in the brewer too long. The Bru Stop filter solved that problem. It is a tighter filter that does a superior job of trapping the ground coffee at the end of the brew cycle. As bad as the over-extraction problem was with counter-top French Press brewers, there was a worse problem with travel French Presses. Coffee grounds easily escaped from the bottom into your brew. How many times have French Press drinkers using travel models taken a sip of coffee with loose coffee grounds? Too many. The good news is the Double Shot 3.0 uses the same Bru Stop filter, so that risk of loose grounds has been greatly reduced. Although I didn’t experience any loose grounds, I hesitate to say the potential has been eliminated, because travel mugs by their very nature get bumped around more than a counter-top French Press. Just do your best job avoiding potholes on your commute and you should be fine. 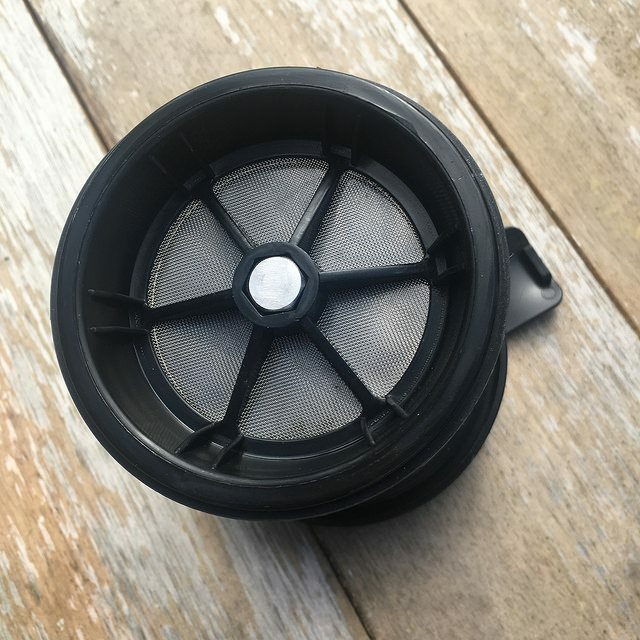 The Bru Stop filter for the Double Shot 3.0. When I first looked into the Double Shot, it seemed rather shallow compared to what I was holding. That is when I figured out the base is detachable. When you screw off the base, you have a secret storage container, which is perfect for storing more coffee. Brilliant! Back in the day, I used to bring a French Press and a Tupperware container with additional coffee into the office. If I didn’t grab the Tupperware, I wasn’t going to get afternoon coffee. With the Double Shot, you just add the extra coffee into the base while you are making the first French Press. The secret storage for the Double Shot 3.0. 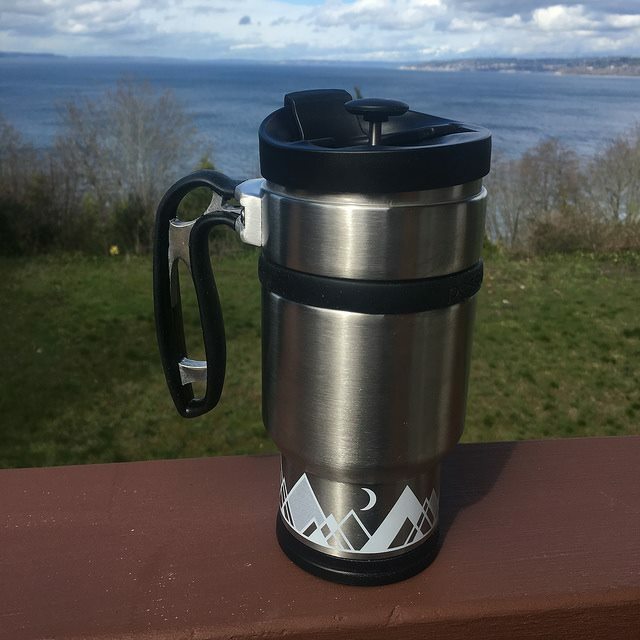 A travel French Press or any travel mug needs to excel at holding heat, especially for those of us that live in areas that get cold. This includes campers and hikers. The Double Shot 3.0, like the Tabletop model, uses stainless steel interior and vacuum insulation to keep the beverage warm. The lid is solid as well. I had no spillage or leaks during my tests. 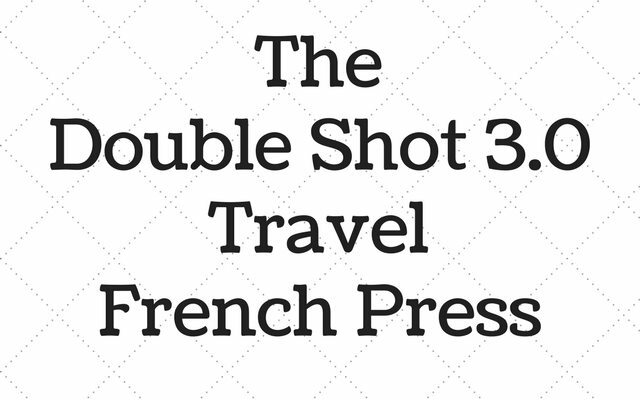 If you are looking for a travel French Press, the Double Shot 3.0 by Planetary Design is an excellent choice. 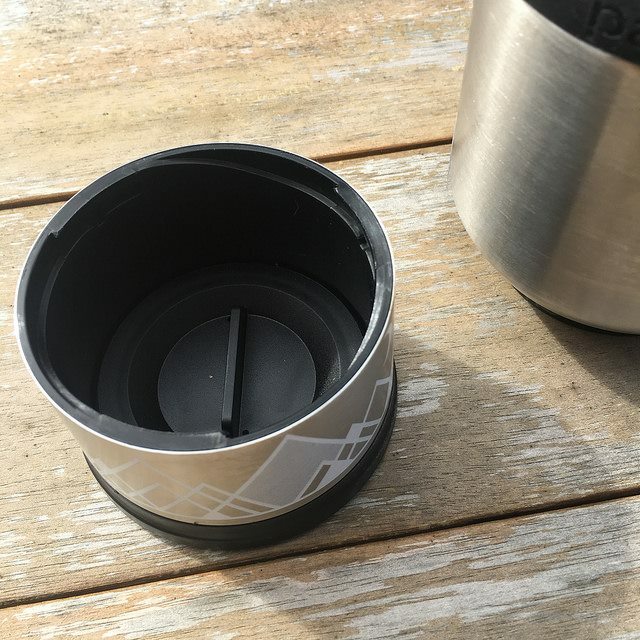 It will hold the heat, keep the loose grounds out of your brew, and even provide a way to carry extra coffee for your next brew. This is also a perfect travel mug for loose-leaf tea drinkers, especially with teas that can handle multiple steeps. French Press Tabletop Coffee and Tea Maker with Bru Stop Technology Review – Overview of their countertop model. How To Clean Your Brü-Stop French Press – A 40-second video showing you how to clean your Planetary Design French Press. French Press Coffee Tutorial – INeedCoffee guide to making great French Press coffee. Troubleshooting French Press Coffee – Once you have your french press, here are some ideas to make your coffee taste great. Disclaimer: The author received a Double Shot 3.0 from Planetary Design for this review.